Dr.Greene Website. 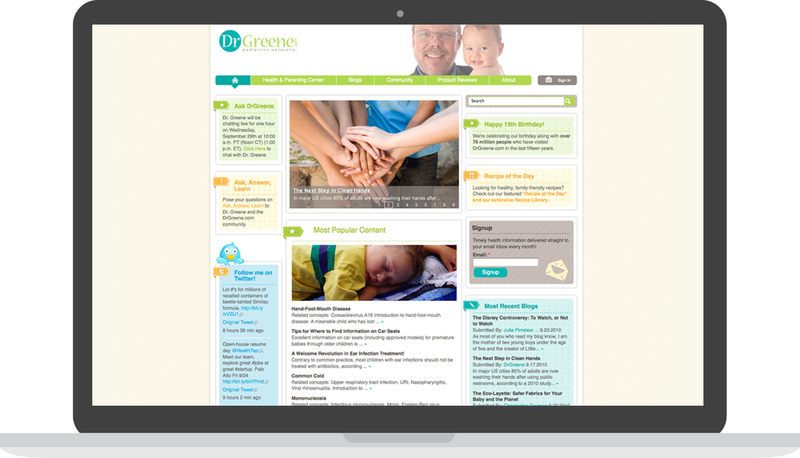 Site was founded by Dr. Alan Greene, practicing pediatrician & children's health advocate. A pediatric site & community for parents. Dr. Greene came to us for a website redesign. Design included wireframes, mockups with several iterations, HTML/CSS & testing of site. Process also included creating mood boards & color palette choices.